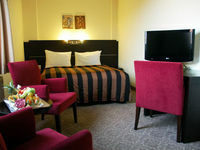 Budapest offers a real wide range of 4 star hotels. There are century old buildings that represent the classic style, but you can also find the new wave of design and boutique hotels built in the last decade. 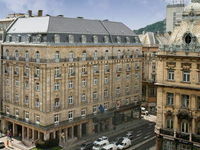 Achat Premium Hotel Budapest was opened in 2010. 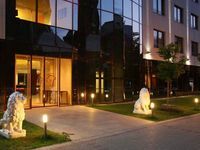 The stylish businnes hotel is located on the Hungária körút, within walking distance from a tram stop, close to the Népliget bus station, and Stadionok underground station. If you arrive by car, open air parking spcae is free, or garage is available for extra cost. Wireless Internet access is available in the whole building, free of charge. Located close to motorway M0, next to Megyeri Bridge, Ramada Resort Hotel awaits guests in a green environment, 11 km away from the centre of Budapest. 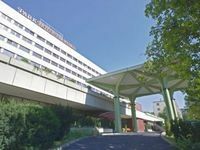 Due to its excellent connection to motorways, the hotel is particularly easy to reach by car. Ramada Resort offers a free shuttle service to and from the city centre several times a day. 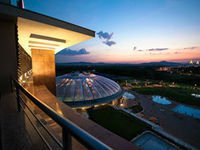 The Aquaworld, one of the biggest indoor water theme parks in Europe, is directly accessible from the hotel. 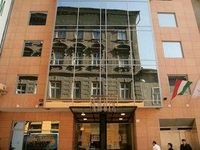 Baron Residence is an excellent starting point to explore the city centre including the pedestrian shopping street, Váci utca and the Great Market Hall, both within walking distance. The nearest metro station (Kálvin tér) is only five-minute walk away and there are several tram stops nearby. Due to the great public transport connections you can reach easily any point of the city, including shopping malls and business areas. Ideally located in the centre of historic downtown, Bohem Art Hotel offers unique and beautifully designed 4-star accommodation. 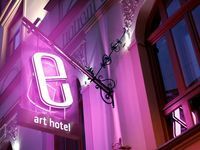 The Bohem Art Hotel is just a few steps away from the Danube River and the famous pedestrian shopping street, Váci utca. Housed in an old stationery factory, this hotel is an art gallery as well, where the contemporary Hungarian art is represented in every corner. Carat is a charming boutique hotel, located in the very centre of Budapest, within walking distance from Andrássy Avenue, St. Stephen’s Basilica, pedestrian shopping streets, Great Synagogue and Opera House. Whatever your destination, you will easily reach it as metro hub ‘Deák Ferenc tér’ is just a few steps away from the hotel. 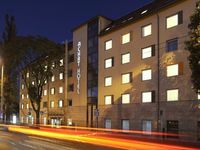 The newly renovated Danubius Hotel Astoria is located in heart of the city centre, at the Astoria metro hub; just a few minutes’ walk from the main tourist attractions. National Museum, Saint Stephen Basilica, banks of river Danube, pedestrian shopping streets including Váci utca are only a 10-minute walk from this four-star hotel. Located only 3 metro stops away from the very centre of the city, Leonardo Hotel (formerly Ramada Budapest and Hotel Pava Plaza) offers first class accommodation and services in a charming, peaceful street of the flourishing business district of Budapest. 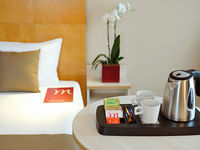 The hotel boasts 131 standard and 36 superior rooms as well as 9 Junior suites and 9 Deluxe suites. Hotel Benczúr is located in the city centre near the World Heritage listed Andrássy street, renowned for its historic background, luxury shops and impressive buildings. 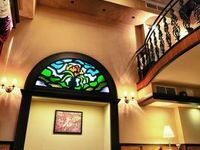 In addition to its excellent inner city location, the hotel is a peaceful spot, positioned away from the noise of the city in a quiet and elegant street of the embassy quarter. 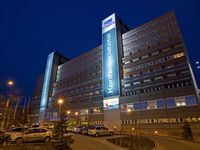 Situated in the neighbourhood of main event centres of Budapest, Danubius Hotel Arena (formerly Hotel Stadion) offers comfortable rooms, fitness facilities and conference venues for its guests. Conveniently located just a few steps away from the nearest metro station, the city’s highlights are within easy reach from the hotel. 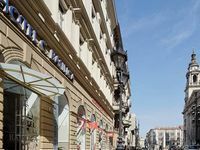 The 4 star Mercure Budapest Korona is located in the heart of the city centre, opposite the National Museum and near the main cultural and tourist attractions. From here almost all sights can be reached on foot and the hotel has also superb public transport connections, given that tram and metro stops can be found right at the doorstep. Opened in 2008, this elegant boutique hotel is set within walking distance from the green heart of Budapest, the City Park, the Heroes’ Square, the famous Andrassy Avenue and the largest shopping mall of Central Europe, Arena Plaza. This Budapest hotel’s charming interiors reflect a genuine sense of style. 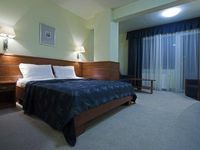 Set in green surroundings of a nice park with a small lake, Danubius Hotel Flamenco is situated near many public transportation stops, allowing easy access to the city centre. By the nearby trams and buses you can reach the heart of Budapest and its touristic sights within only 15 minutes. Renowned for its high-level services, the Danubius Hotel Flamenco Budapest is well reachable from the highways of both Vienna and Lake Balaton. Situated in the heart of the city centre, next to the St. Stephen Basilica and the adjacent pedestrian zone, Hotel Central Basilica offers a restful stay to leisure visitors and business travellers who want to explore Budapest on foot. Several tourist sites are just around the corner. Various popular restaurants are situated nearby. On the edge of the nature reserve area of Buda, the Normafa hotel is situated on top of the Sváb hill, covered by forest. Clean air and true calm are guaranteed in this green environment that offers excellent possibilities for recreation. Elisabeth tower and chair lifts are within walking distance. The hill-top provides stunning views of Budapest, that’s why Normafa used to be the number one destination of the last centuries’ artist society. Downtown Budapest can be reached by car in 15 minutes and you can also take a bus nearby that is linked with a metro line. Enjoy the buzz of the popular shopping and entertainment district of Budapest with Best Western Plus Hotel Ambra. 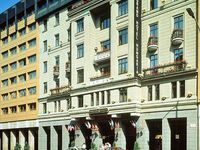 This downtown located boutique hotel is close to the Opera House, the Jewish quarter and the UNESCO heritage Andrássy boulevard. Deak Ferenc Square, a metro intersection, center of shopping area and venue of cultural life is only 10 minutes walk away. 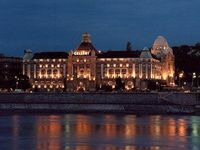 Located just two blocks away from the bank of Danube on the Buda side, Hotel Regnum Residence offers easy access to Margaret Island and the Castle district. The hotel is only a few minutes’ walk from the nearest metro that takes you directly to the very centre of the city within 5 minutes. The Parliament is only one metro stop away from Regnum Residence Hotel.